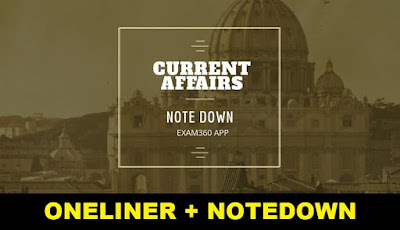 In the Current Affairs & GK Update of 2 October 2018 we cover all important National,International,Financial,Sports news, nominations, agreements which are relevant for upcoming IBPS PO,IBPS Clerk,SSC,IBPS RRB, INDIAN Bank PO exams.We at Achieversrule regularly provide One Liner Current Affairs and GK Updates to keep our candidates prepared for Current Affairs section of Banking,Insurance exams and current affairs exam. India and Uzbekistan inked 17 agreements on Monday, including for visa free travel for diplomatic passport holders and cooperation in the fields of tourism, national security, training of diplomats and against trafficking. President Ram Nath Kovind has given assent to a bill providing legal protection to the good samaritans in Karnataka, who help accident victims with emergency medical care within the golden hour. United Nations Secretary-General Antonio Guterres arrived in New Delhi today on his three-day visit to India.The UN Chief coincides with the commencement of events marking the 150th birth anniversary of Mahatma Gandhi. Lal Bahadur Shastri was the 2nd Prime Minister of India and a senior leader of the Indian National Congress political party. He was born on 2 October 1904 in Mughalsarai, Uttar Pradesh. India jumped to third rank from its previous position of 136 in the list of countries with the largest pictorial warning on tobacco products, according to a report released.The report said that India has moved to the third position out of 205 countries from its earlier ranking of 136 in 2014 and 123 in 2012. Former IAS officer Rangachari Sridharan was Friday appointed as first chief of National Financial Reporting Authority (NFRA).Sridharan is a retired 1983 batch IAS officer of the Karnataka cadre. The sixth edition of IBSAMAR, a joint Multi-National Maritime Exercise between the Indian, Brazilian and South African Navies, is being held at Simons Town, South Africa. Harvard economist Gita Gopinath has been appointed as the chief economist at the International Monetary Fund (IMF). The Central Information Commission on Monday brought the Board of Control for Cricket in India (BCCI) under the RTI (Right to Information) Act. IBSAMAR are a series of naval exercises between the navies of India, Brazil, South Africa. The name IBSAMAR is an abbreviation of India-Brazil-South Africa Maritime. Lal Bahadur Shastri led the country during the Indo-Pakistan War of 1965. His slogan of "Jai Jawan Jai Kisan" ("Hail the soldier, Hail the farmer") became very popular during the war and is remembered. Managing director of IMF:Christine Lagarde. The Information Commissioner of Central Information Commission:Prof. Madabhushanam Sridhar Acharyulu. The Secretary General of the United Nations:Antonio Guterres. The Headquarters of United Nations:New York,United States.